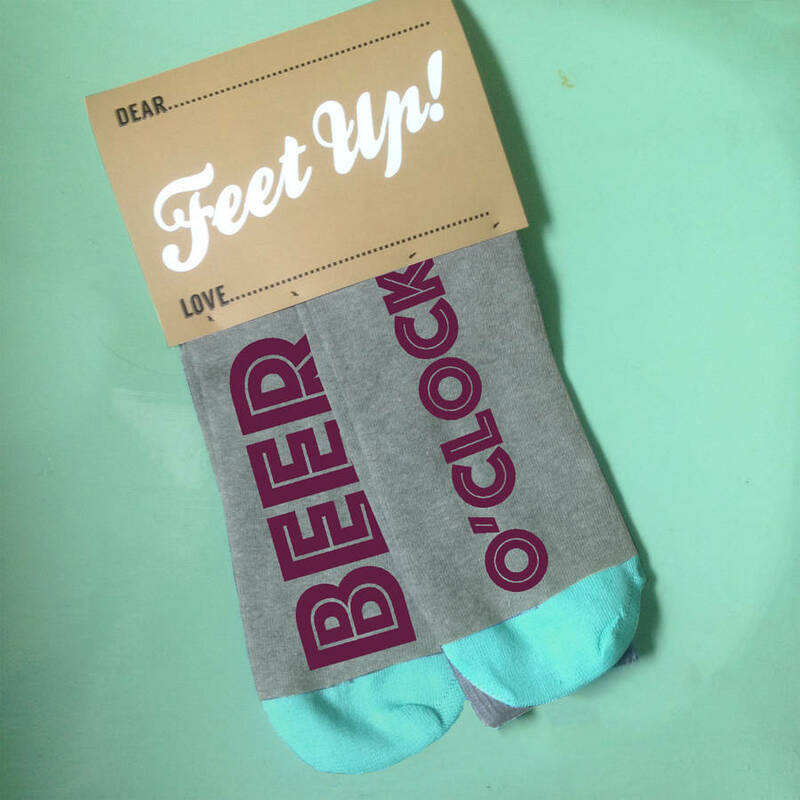 Funny Socks from the Feet Up sock range. 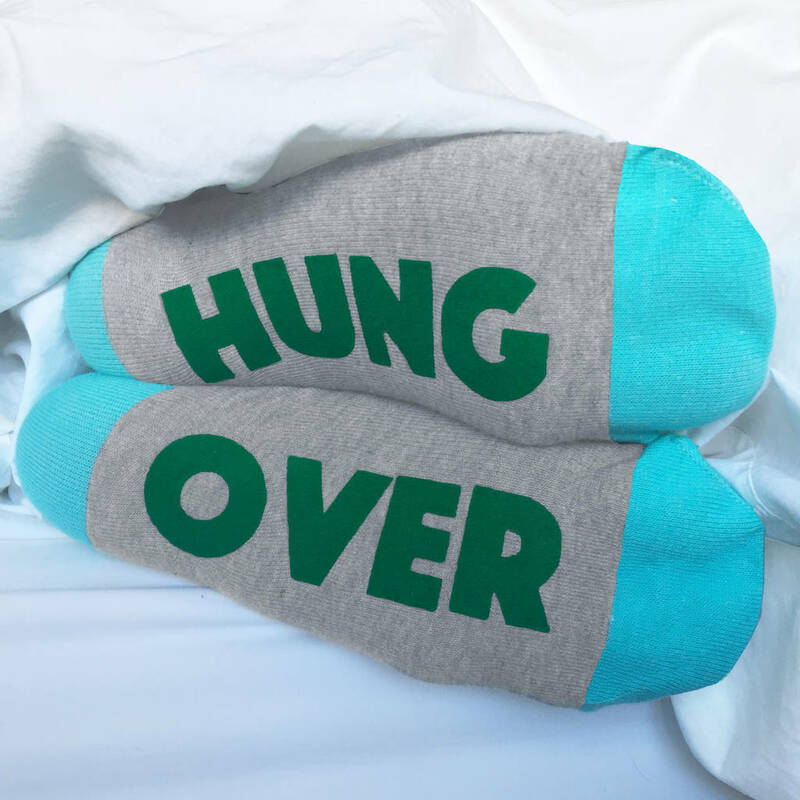 The message is revealed when the wearer sticks their feet up. 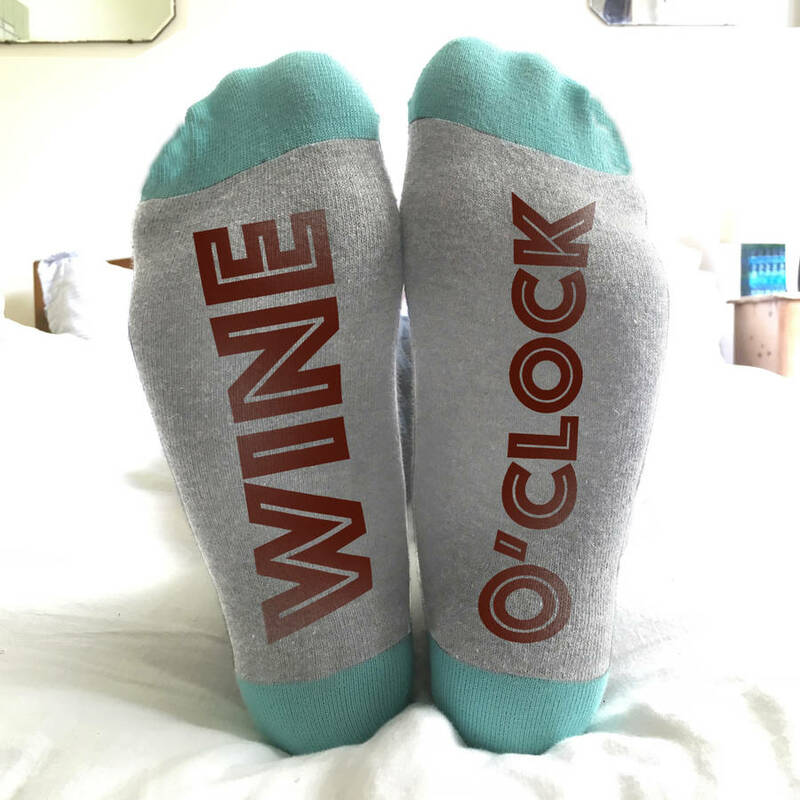 With a glass of beer, wine or gin AND the socks to drink it in. 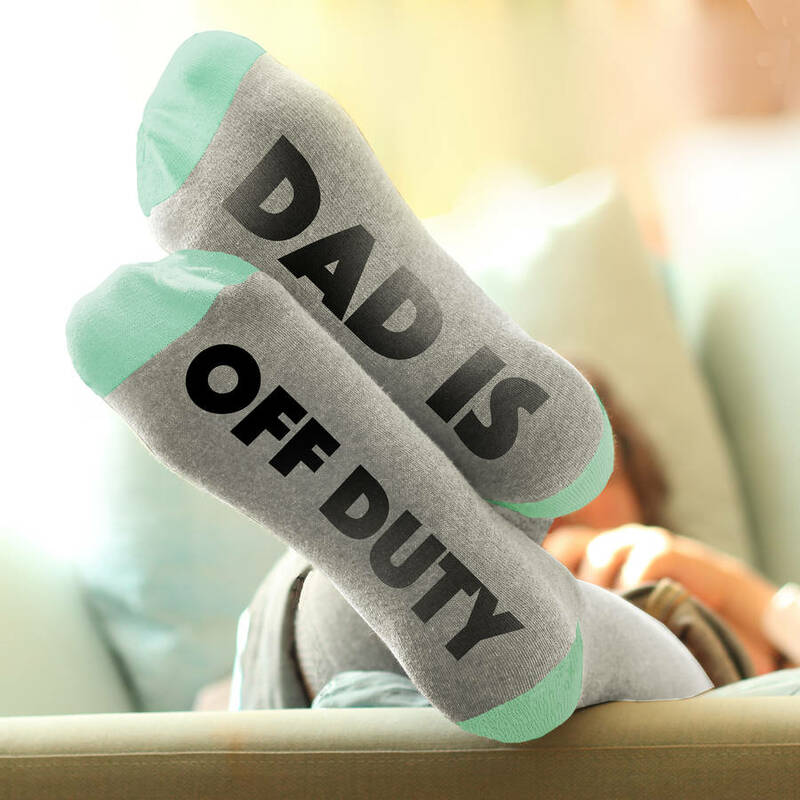 What better way to spoil dad? 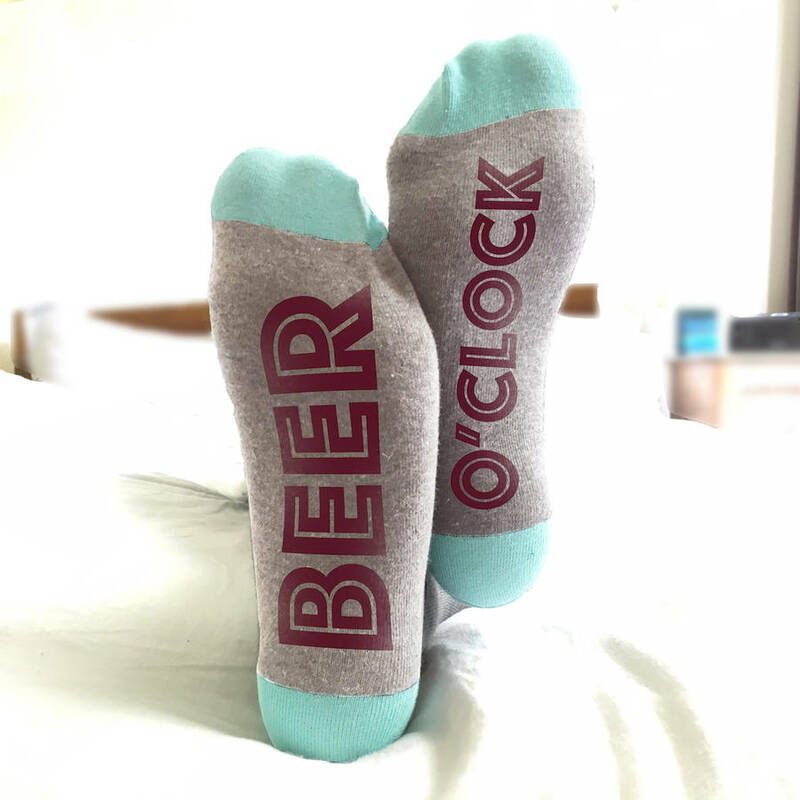 Quirky and original gift for men and women to encourage down time. 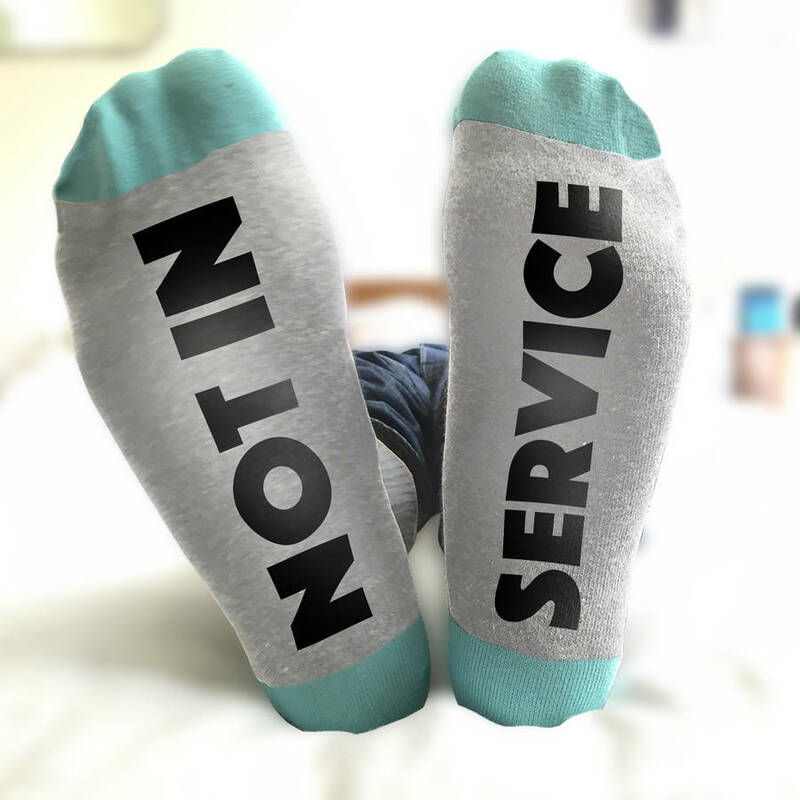 These Feet Up socks are great fun and there are a range of messages to choose from. 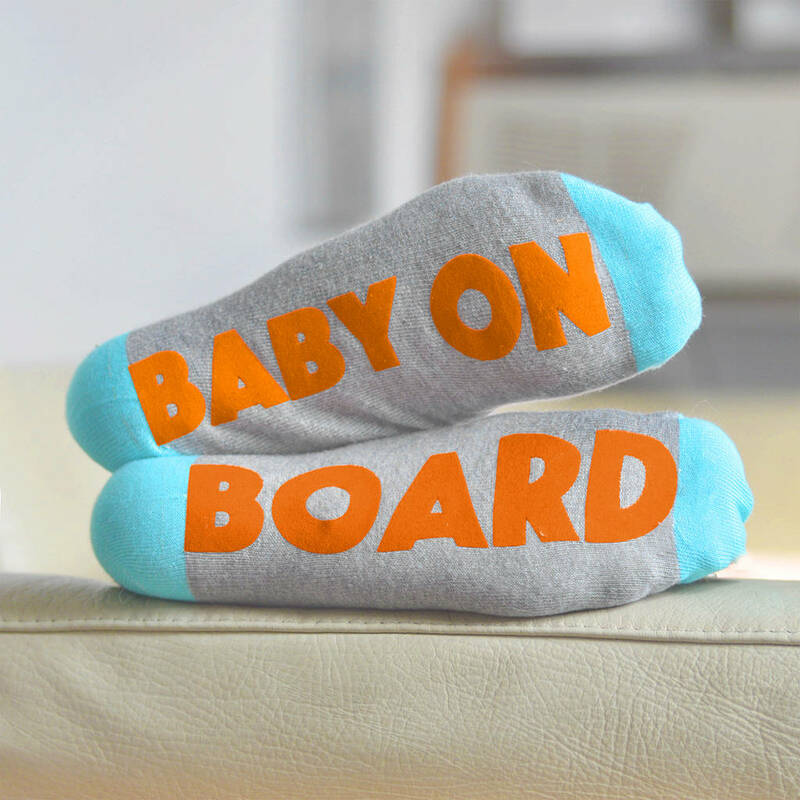 The print has a bit of lycra in it so can stretch without cracking or peeling. 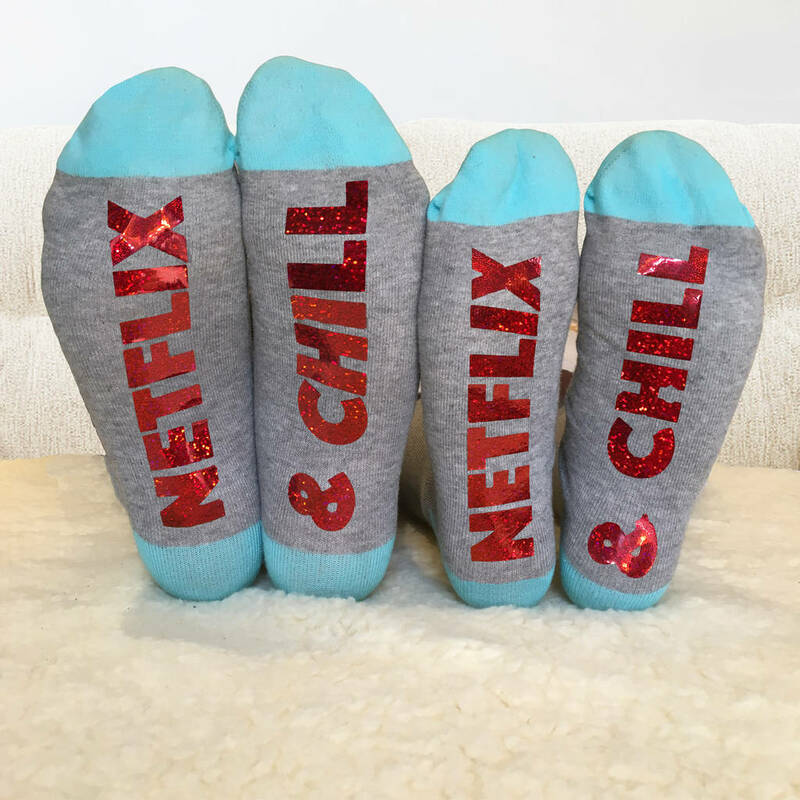 The socks are mid grey with aqua tips and heels. 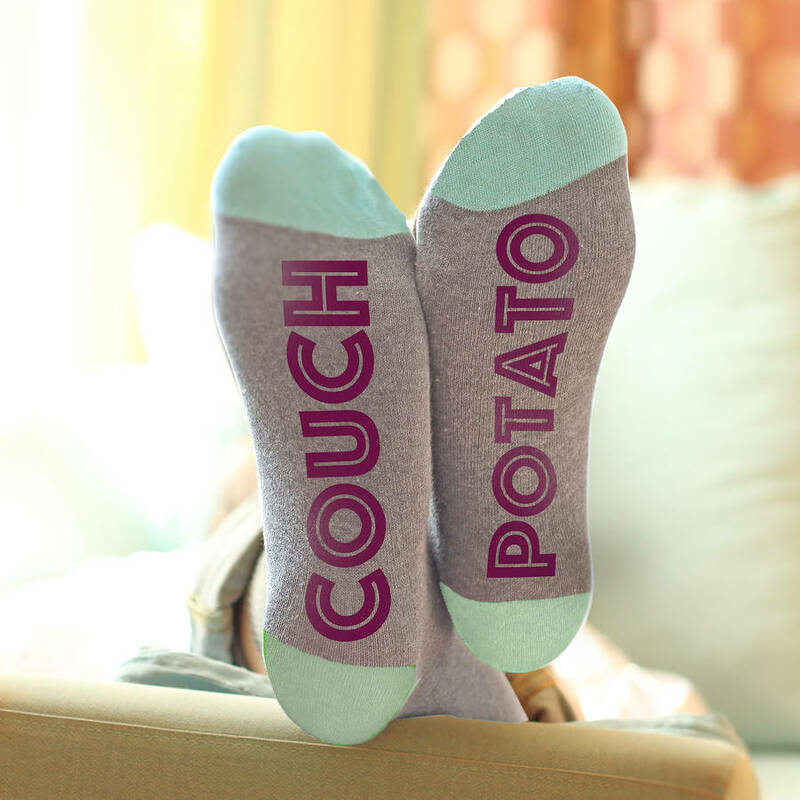 The type on the socks is a deep aubergine red. Each order comes packed in a bright, bijou canvas gift bag. The first bag is free, and more are available for £1 each. 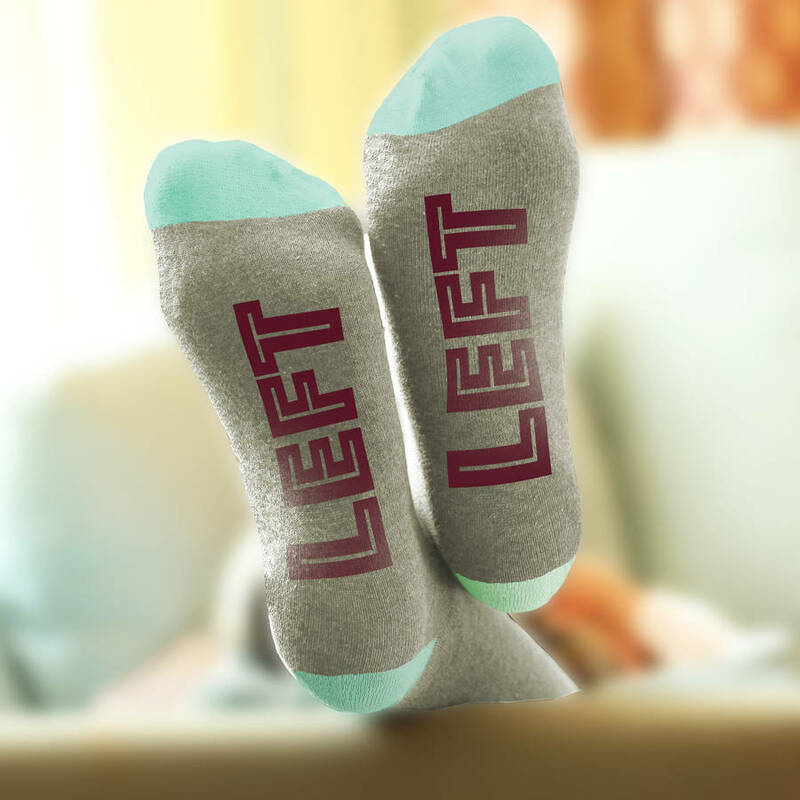 LEFT / LEFT - an ideal one for dad dancers.